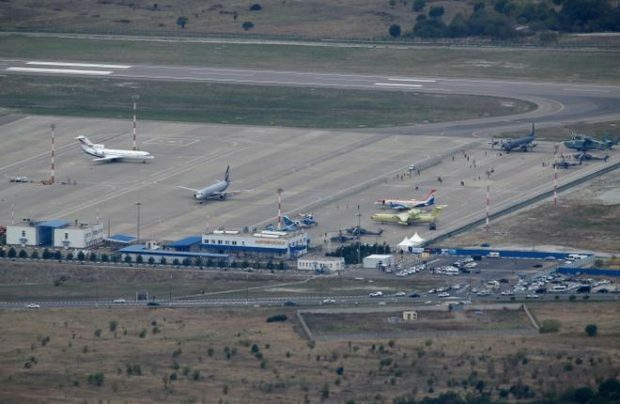 The new passenger terminal at Gelendzhik airport, which serves the homonymous resort town on the coast of the Black Sea, will become operational in late 2018, reported Basel Aero, the airport’s operator. The company signed an investment agreement with the administrations of Gelendzhik and the surrounding Krasnodar region regarding construction of the new terminal. According Basel Aero’s general director Leonid Sergeyev, all working documents for the new terminal should be in place by the end of the year, and construction is expected to begin in 2017. It will be a one-storey building with the total of 5,200 square meters of floor area and a capacity of 314 passengers per hour. All cutting-edge technologies in passenger handling have been incorporated in the design, Sergeyev said. The project has passed the critical design review phase and received the approval from the relevant authorities. The new terminal will only handle domestic flights – receiving the international airport status is not in the operator’s near-term plans. Return on investment of 520 million rubles ($8.2 million), is expected in eight to ten years “with moderate forecast of airport traffic dynamics and conservative scenario of development of the Russian economy.” According to expert estimates, additional tourist traffic may reach 860,000 passengers in ten years. The existing terminal can handle up to 140 passengers per hour. A recent resource optimization sped up passenger check-in process. Increased capacity will enable the airport to cope with the surge in domestic traffic. In January-August 2016 Gelendzik’s traffic showed a 3% year-on-year decrease in passenger numbers, down to 205,000 passengers.